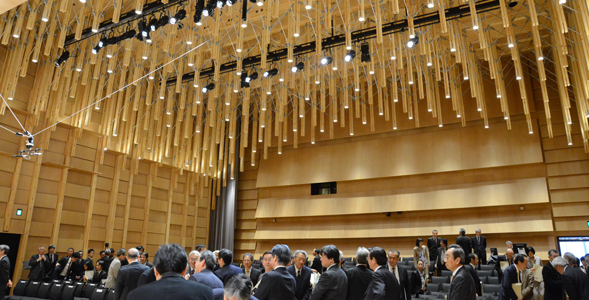 On April 22nd, a ceremony was held to mark the completion of Hall VI of Building IV of the Faculty of Music. 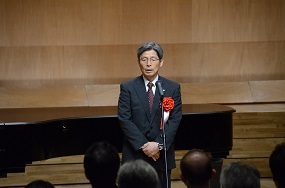 The ceremony, held to celebrate the completion of repair work to Hall VI of Building IV of the Faculty of Music, was attended by approximately 100 people, including guests, those involved in the construction work, and constituents of the University. 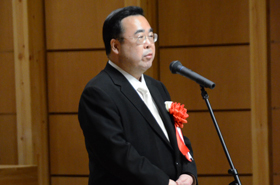 Among the guests in attendance was Munetsugu Tokuji, a generous contributor to the funds for the construction work. 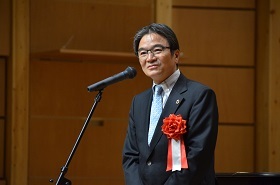 The ceremony began with a fanfare by faculty members from the Wind and Percussion Division, before addresses were made by President Miyata, Sawa Kazuki; Dean of The Faculty of Music, and honorary guest Kudō Mutsunobu; Chairman of the Board of Directors at the JDC Corporation. 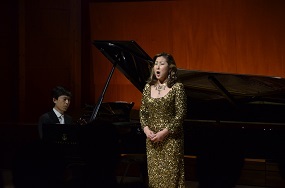 The greetings were followed by a solo soprano performance by Professor Sasaki Noriko from the Department of Vocal Music, with a piano accompaniment by Associate Professor Azuma Seizō from the Department of Instrumental Music. 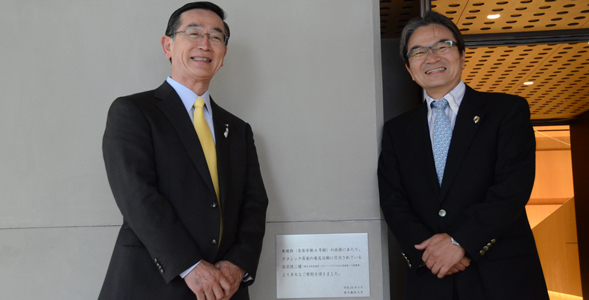 After the ceremony, a private viewing of rooms including the Hall VI in Building IV was held under the guidance of Dean and Professor Kamegawa from the Faculty of Music, in which guests viewed the renewed ground-floor Percussion Practice Room and 2nd-floor Early Music Practice Room. 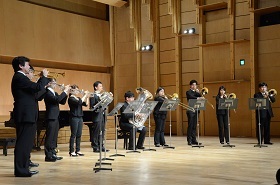 Hall VI opening ceremony concerts will be held for seven consecutive days from April 26th.